9. Antenatal maternal stress and long-term effects on child neurodevelopment: how and why? We review a significant body of evidence from independent prospective studies that if a mother is stressed while pregnant, her child is substantially more likely to have emotional or cognitive problems, including an increased risk of attentional deficit/hyperactivity, anxiety, and language delay. 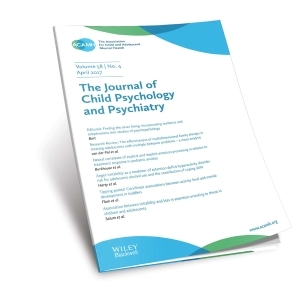 These findings are independent of effects due to maternal postnatal depression and anxiety. We still do not know what forms of anxiety or stress are most detrimental, but research suggests that the relationship with the partner can be important in this respect. The magnitude of these effects is clinically significant, as the attributable load of emotional/behavioral problems due to antenatal stress and/or anxiety is approximately 15%. Animal models suggest that activity of the stress‐responsive hypothalamic‐pituitary‐adrenal (HPA) axis and its hormonal end‐product cortisol are involved in these effects in both mother and offspring. The fetal environment can be altered if stress in the mother changes her hormonal profile, and in humans, there is a strong correlation between maternal and fetal cortisol levels. However, many problems remain in understanding the mechanisms involved in this interaction. For example, maternal cortisol responses to stress decline over the course of pregnancy, and earlier in pregnancy, the link between maternal and fetal cortisol is less robust. It is possible that the effects of maternal anxiety and stress on the developing fetus and child are moderated by other factors such as a maternal diet (e.g., protein load). It is suggested that extra vigilance or anxiety, readily distracted attention, or a hyper‐responsive HPA axis may have been adaptive in a stressful environment during evolution, but exists today at the cost of vulnerability to neurodevelopmental disorders.